Toby and his family live in the middle of Devon, in Winkleigh, where they own and run Ten Acres Vineyard Camping and a large orchard. Before moving back to Devon, Toby worked in Hungary for some years, where he met a local businessman, Jozsef. Relaxing over a glass of home-made wine one day, they realised that British people didn’t have access to well-made wine, juice or cider making equipment which doesn’t break the bank and are traditional in that part of Europe. At the same time Hungarian and other Central European engineering firms needed markets in the West to help them survive. So pressfruit.co.uk was born! 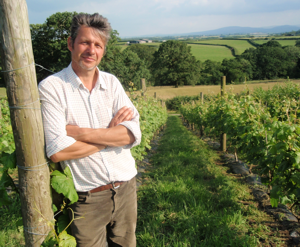 Toby makes his own award-winning English wine, as well as apple juice and cider for his family. He’ll be happy to help with advice, not only on what to buy, but also on all other aspects of the three processes. Please come and visit Ten Acres Vineyard, if you would like to view and handle the equipment before making your decision. If you let us know beforehand and come and collect your equipment, we will give you a discount of the whole of the carriage price! It’s open from the 1st May to 31st September from 10 am to 8 pm every day of the week except Wednesdays. Outside the season we can open by appiontment, just give us a call. Ten Acres Vineyard is situated on the south-facing slope of Winkleigh’s wartime airfield. Planting started in 2008 and continues today using cuttingsfrom the original vines. We sell cider presses, apple crushes and all other equipment on this website, as well as our own wines! Ten Acres’ wines are fermented and bottled here in our small cellar/winery. Tours of the winery are available for individuals or small groups. Please call, email or ask at the Devon Wine Shack. The Vineyard is well-signed, so visitors are welcome to tour at their own pace. We will also be happy to answer any questions. 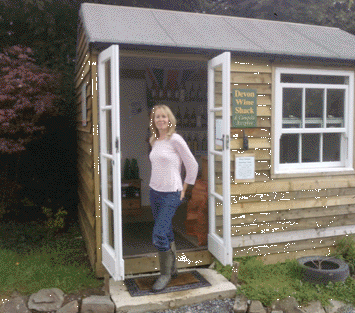 The Devon Wine Shack sells a range of local wines and juices as well as our own wines. TASTINGS: Every weekend a bottle of one of our wines is open for tasting in the Devon Wine Shack. Cheers!